When you invest in a diamond purchased at Marquise of Guildford, you are sure to receive the best quality your money can buy. To give our customers complete reassurance we make sure that every diamond of 0.40ct and above is accompanied by a diamond certificate issued by an independent laboratory. 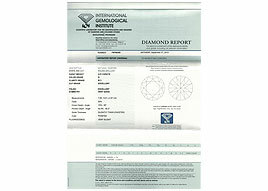 The diamond certification process involves stringent analysis of the diamond by a qualified diamond grader. The diamond grading is undertaken in a gemmological laboratory and is subject to comprehensive studies which determine specific diamond characteristics, including clarity, colour, carat and cut. 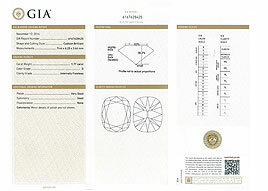 These characteristics are among the key indicators of a Diamond Grading Certificate. 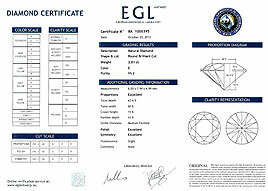 We provide diamond certificates from recognised laboratories such as E.G.L. (European Gemmological Laboratory), I.G.I. (International Gemmological Institute), G.I.A. (Gemmological Institute of America) or H.R.D. (Hoge Raad Voor Diamant).